So, the movie you've been dying to watch is finally out. The only thing is, you don't have anyone to go with you. But you don't really need to wait for people to find time in their busy sched-not when you can have the armrest, aisle seat, and popcorn all to yourself. Now, all you need is the perfect place to watch by your happy, independent self. 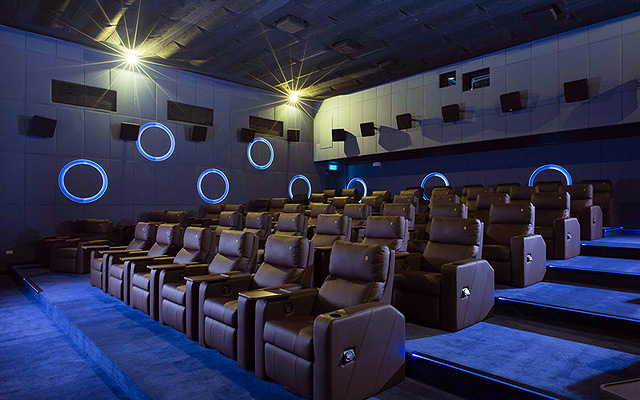 The newly renovated and modern-looking cinemas of Shangri-La Plaza can make anyone feel like a very important person (yes, singular). You don't have to let the snoopy titas behind you know that you're getting a ticket for one because here, you can pick your tickets via touchscreen at the counter. You can also order your tickets online and present either the printed or digital QR code at the entrance. And if you're too early for your screening, you can watch the latest trailers at the lobby, which has a seating area so you don't have to stand around awkwardly while you kill time! Trying to get over the fact that your go-to movie date ditched you? 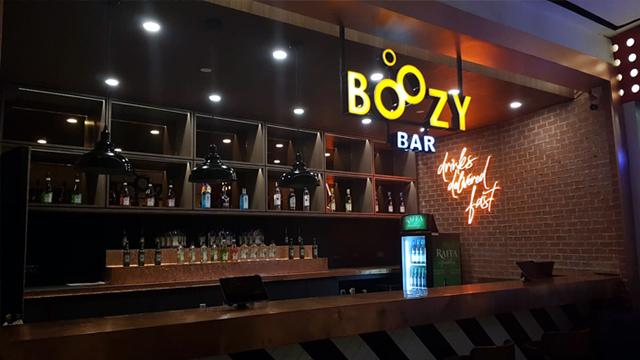 You might want to grab a drink or two from The Boozy Bar at Uptown Mall before heading to your screening. It's the first cocktail cinema bar in the country that offers mixed drinks for only P150 each. If you're watching at the Ultra Cinema, the attendants can deliver the drinks straight to your seat. The Boozy Bar is open until 12 a.m., which means you can have your nightcap and catch the last full show at the same time. 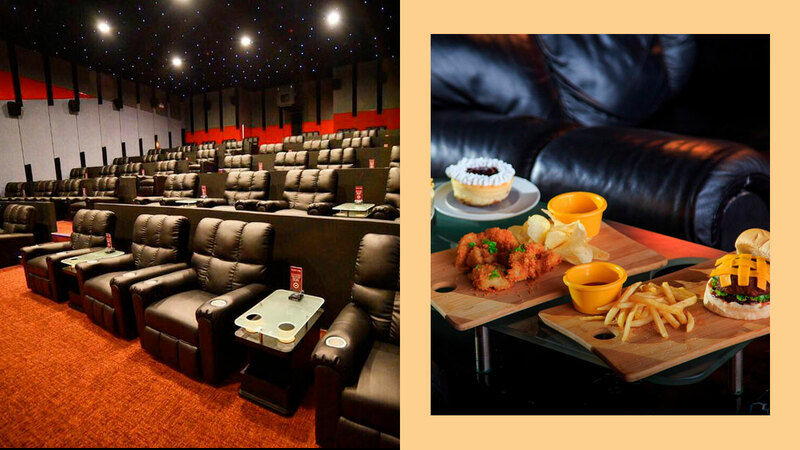 If you're not really the type to take yourself out on a movie-and-dinner date, you can hit two birds with one stone at UP Town Center's cinemas. Chicken Pile, one of the food stalls near the theaters, conveniently lets you have chicken and rice at the movies. The hassle-free packaging of their Pile Combo Meals (P129/four pieces with rice, P169/10 pieces without rice, P179/10 pieces with rice) comes complete with a drink, too. 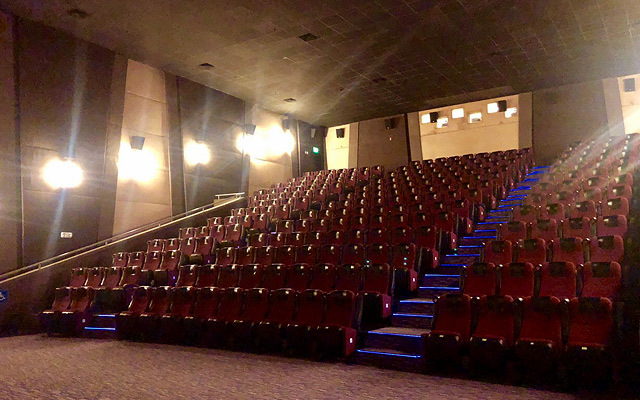 There are only four cinemas here, but rest assured there'll be a screening of what you want to watch—whether it's a Pinoy rom-com, a horror flick, or the latest action blockbuster. There are lots of new stores and restaurants to try at the newly revamped The Podium. 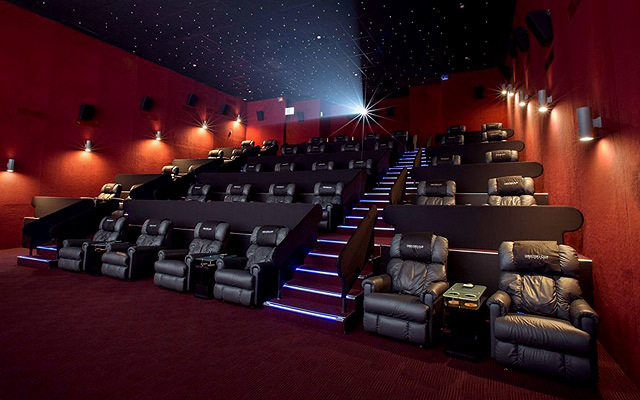 After visiting them all, why not treat yourself to a movie date at their Director's Club Cinemas? 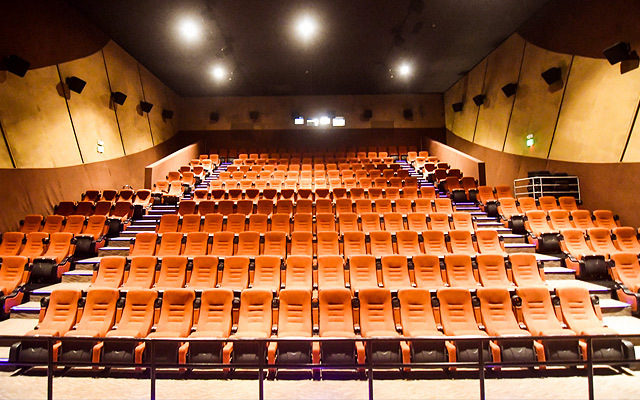 There are only three cinemas here that can seat 48 people each-that means you can watch the latest movie without the noisy crowds. Their comfy, leather recliner seats also come with a table where you can place the food and drinks delivered by the in-house butler. Tickets are at P450-definitely worth it for taking yourself out on a date. 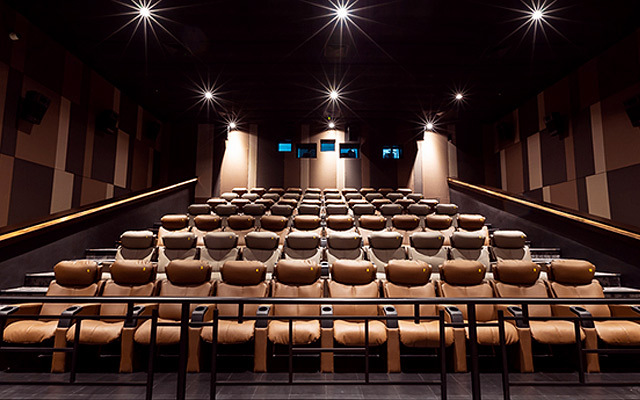 Greenhills Promenade has become the go-to neighborhood cinema for many moviegoers-and for good reason. There's no fuss here: You park, order your food from the many food stalls around the area, get your ticket, and watch a movie. Pro tip: Get a seat by the side of the theater so you can have the row all to yourself. It's best to go on the quiet weekdays before the rush of students come in at the end of the week. 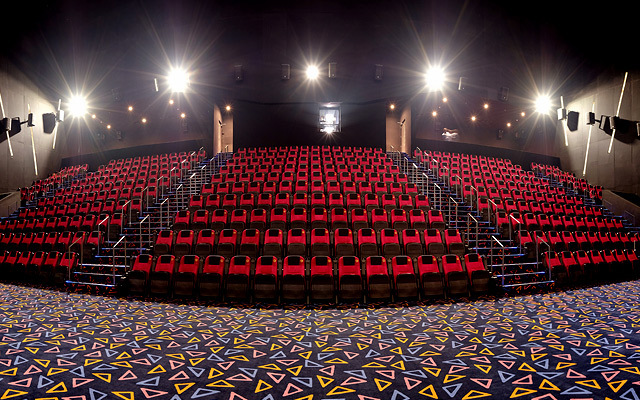 The best part about Century City's Premier Cinema is you don't have to worry about being seated next to someone you don't know. The relaxing La-Z-Boy seats are perfectly positioned in a way that you don't have to share the armrest and cupholder with a stranger. In addition to having your own space, each ticket (that costs around P450) also comes with a free snack—you can have one drink and one cookie from Toby's Estate or one bag of popcorn and one drink from Taters. The plush recliners at SM Aura's Director's Club Cinema are perfect if you want to feel right at home while watching a movie. Say goodbye to the crowds and long lines at the snack bar, because the Director's Club only has 40 to 50 seats. 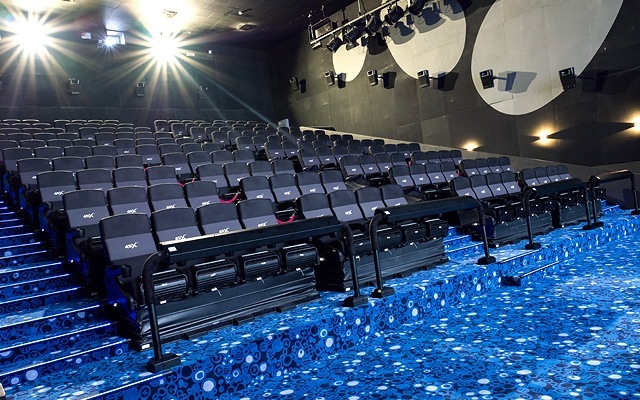 You'll have more than enough space for all the food you can order around the cinema area and the snacks that the friendly staff can bring to your seat. To make your movie-watching experience even more hassle-free, you can also book your tickets through the SM Cinemas app, which you can download for free. Robinsons Magnolia is another reliable bet if you want to spend the day browsing stores, eating at restaurants, and watching what's new. 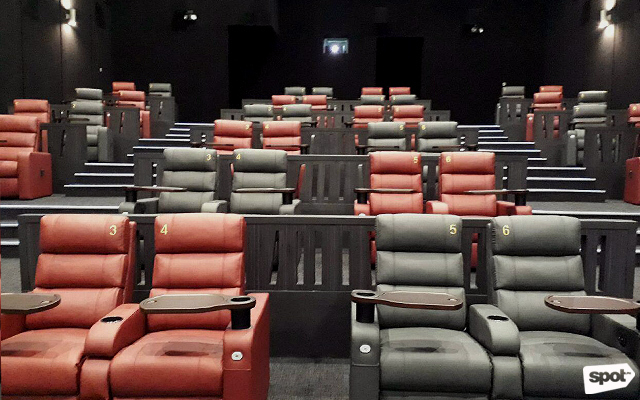 Their VIP cinema comes with a lounge where you can wait for your screening (or take a rest from all your shopping). There are lots of food options around the cinemas and their other theaters rarely get crowded, too-so you're safe from the feeling of being judged for catching a movie by yourself. If you're catching a movie by yourself down South, you might as well watch it in its best possible quality. 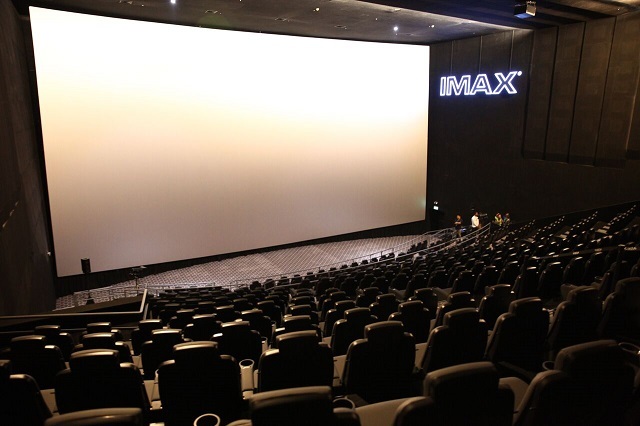 You won't be bothered to bring a plus-one to Vista Cinemas' new IMAX with Laser (the first of its kind in Southeast Asia!) at the Evia Lifestyle Center in Alabang. That's because you'll be completely lost in the movie anyway, thanks to the screen's bright, vivid colors, 12-channel sound technology, and comfy, leather-like seats.